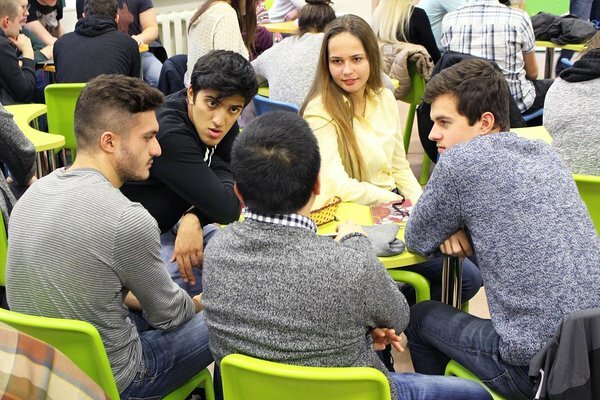 UT Idea Lab | STARTER program: international company, sizzling energy and 27 world-changing ideas! During the five first seminars of the program, participants have formed teams and filled in their business model canvases; done lots of idea validation and product development; learned the fundamentals of awesome pitching and pitched their ideas to the mentors to get valuable feedback and useful contacts. At the moment they are creating their first prototypes and continueing with validation. The ideas vary a lot: creating all-inclusive web portal for travellers and establishing a moving pharmacy are only some of them! There are several health-related ideas, such as a gym center for seniors and a booking service for healthcare system. Some ideas are really ambitious, aiming to revolutionize the field of logistics or improving the sharing economy. We can’t wait to hear them all on Kaleidoskoop! In the upcoming weeks STARTER teams are going to learn about marketing and sales, local start-up ecosystem and then get a final pitching training to be ready for the finals! The first round of Kaleidoskoop project and business ideas competition will take place on 7th December at UT IdeaLab. Then the 10 best student teams will be selected to participate in Kaleidoskoop finals on international business festival Startup Day 2016 on 9th December. Find out more about Kaleidoskoop and register your team here! STARTER program is financed by EU Social Fund.